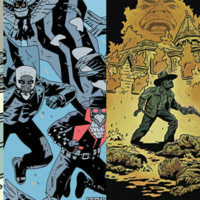 This week I have, for your reading pleasure, three recent creator-owned titles that are all so good I’d have liked to write about them in more depth. 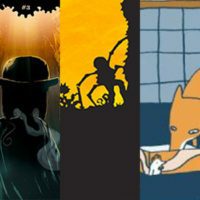 But life isn’t fair, so here are three mini-reviews. 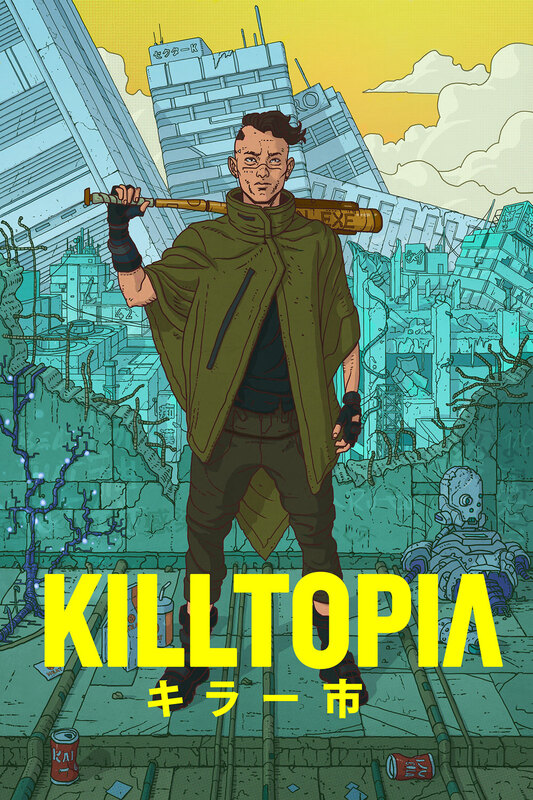 Could there be a more hyped indie comic right now than Dave Cook and Craig Paton’s Killtopia? The correct answer is no. A self-published Kickstarter success that was swiftly snapped up by BHP, this series takes place in a future Tokyo devastated by a nano-plague. Shinji is a Wrecker, a hunter and salvager of infected mechs, whose discovery of what appears to be a sentient bot pushes him before the crosshairs of every cybernetic psychopath in Tokyo. Killtopia’s future isn’t especially original, but it is jaw-dropping in its definition, with Paton’s retrofitted designs and attention to detail worthy of the best video game universes. His vision hits that sweet spot between being wholly recognisable and distinctly his own, with the nods to Judge Dredd, Akira, Blade Runner et al soon becoming mere garnish as Cook’s engaging plot proves confident enough to stand tall amongst its influences. As exhilarating as Paton’s cyberpunk cityscape and hyperviolence can be, Killtopia is a far more empathic and human story than the initial scenes, with their Dark Knight Returns styled commercials featuring celebrity Wreckers, might suggest. Cook’s surprisingly engaging central characters and Shinji‘s moral compass make Killtopia as smart and engaging as it is provocative. 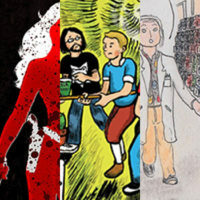 The series is now published by BHP Comics, where you can purchase the first issue. Katriona Chapman’s stunning memoir is as much a reflection on her growth as a young artist as it is a journal of her travels through Mexico with then boyfriend Richard. 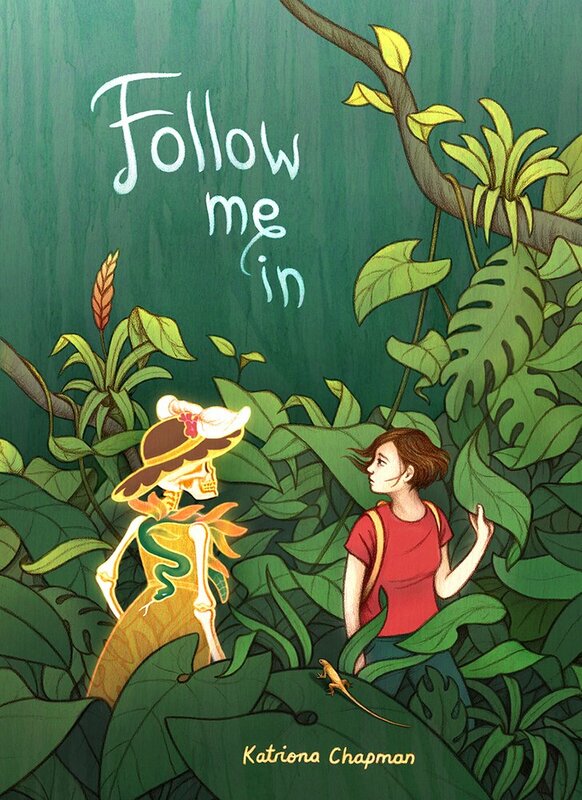 Stuck in post-university limbo, Chapman’s expedition helps her find herself through her art, and come to terms with Richard’s excessive drinking. 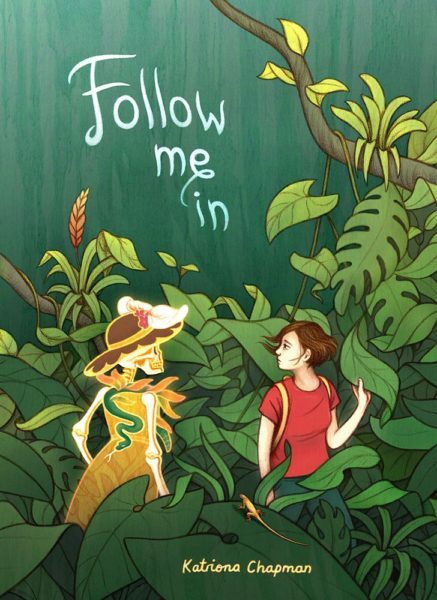 Follow Me In’s art and detailed four-by-four grids are attracting much well-earned praise, but for me the most impressive part of Follow Me In is the ease with which Chapman transitions between the central narrative, a present-day frame story, her original 2003 sketches, and beautifully illustrated factoids on Mexican culture, bio-diversity and locations. At 248 pages this is a monumental work and a potential classic in the making. For all of Katriona Chapman’s technical ability it’s a gentle book that, most impressively, depicts addiction and those it touches with a compassionate and tolerant hand. Available now from Avery Hill Press. Wind in the Willows meets War of the Worlds in Dan Abnett’s charming yet surprisingly brutal genre mashup, concluding with its third volume. Clive, a Doberman suffering PTSD, and reclusive feline scribe Susan Peardew are among the ragtag group of survivors standing in the way of the alien invasion of Lower Crowchurch. However, as is often the way in the science fiction classics from which Wild’s End takes its inspiration, their greatest adversary may prove closer to home. Horror veteran INJ Culbard is a brilliant visual storyteller regardless of genre, suggesting ample expression and atmosphere from the simplest of lines. Abnett’s witty yet warm dialogue is always solid, and his anthropomorphic townsfolk are brimming with the sort of personality that would have made for an outstanding ongoing series were they not being steadily carbonised by an alien death rays. 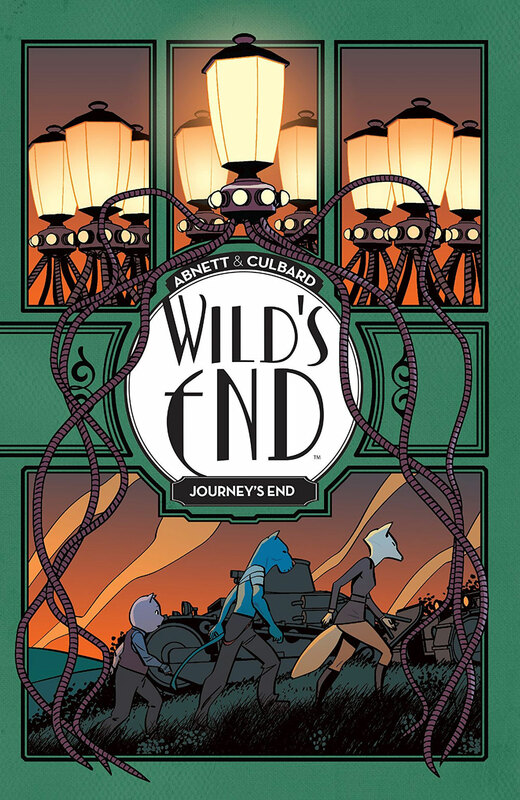 It’s a slight shame, then, that Wild’s End doesn’t quite stick the ending in its third and final volume. This is possibly because the invaders’ wanton destruction of idyllic rural England and Abnett’s gleeful elimination of his most engaging characters leave so few survivors or locales worth rooting for. I found myself completely enamoured by the first volume, and eager for the series’ conclusion by the third, but it’s nevertheless recommended to anyone interested by the premise. Culbard and Abnett’s energy is thrilling when the concept clicks. 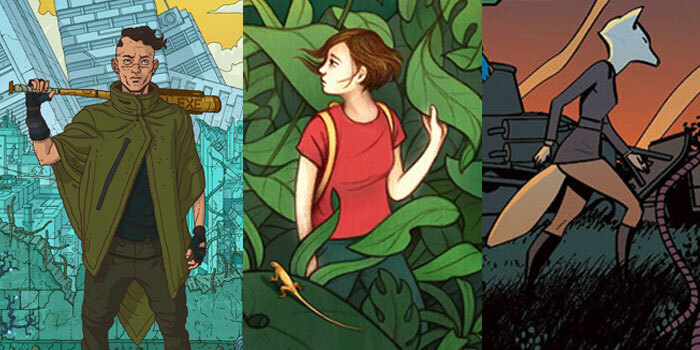 All three Wild’s End trades are available now from BOOM!